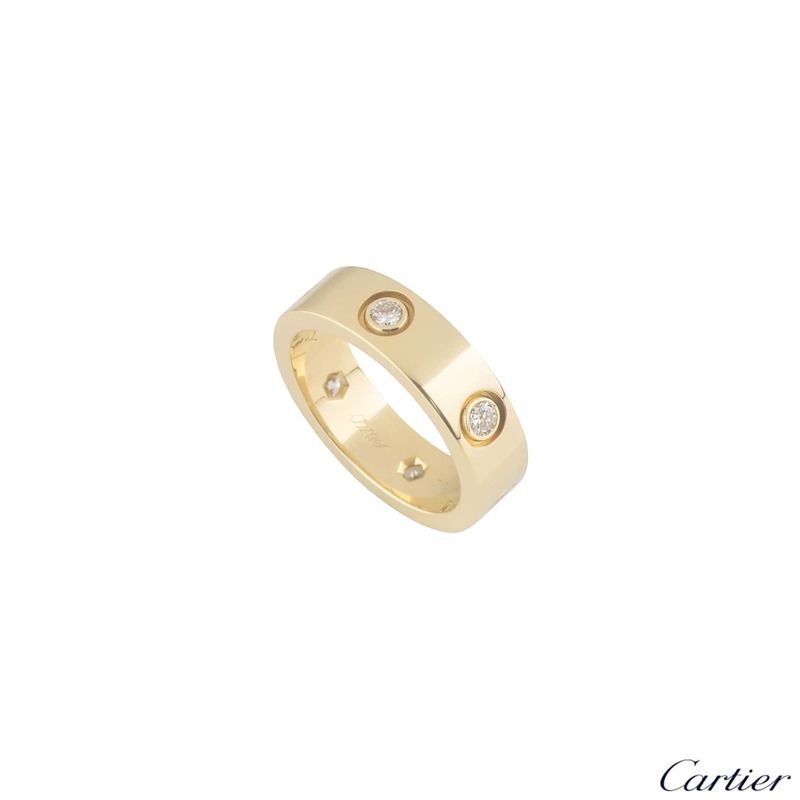 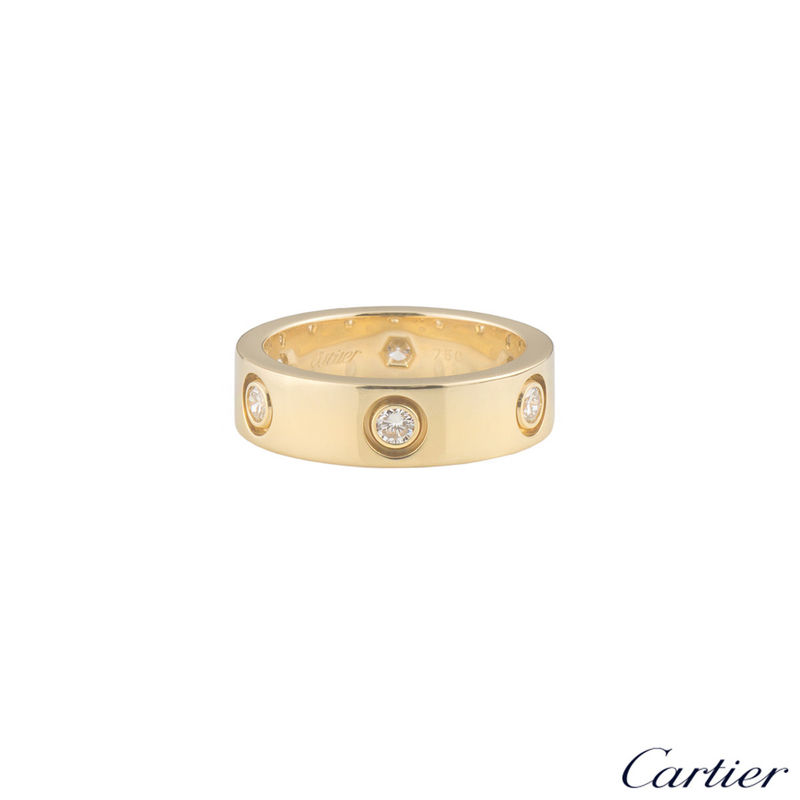 An iconic 18k yellow gold diamond Cartier ring from the Love collection. 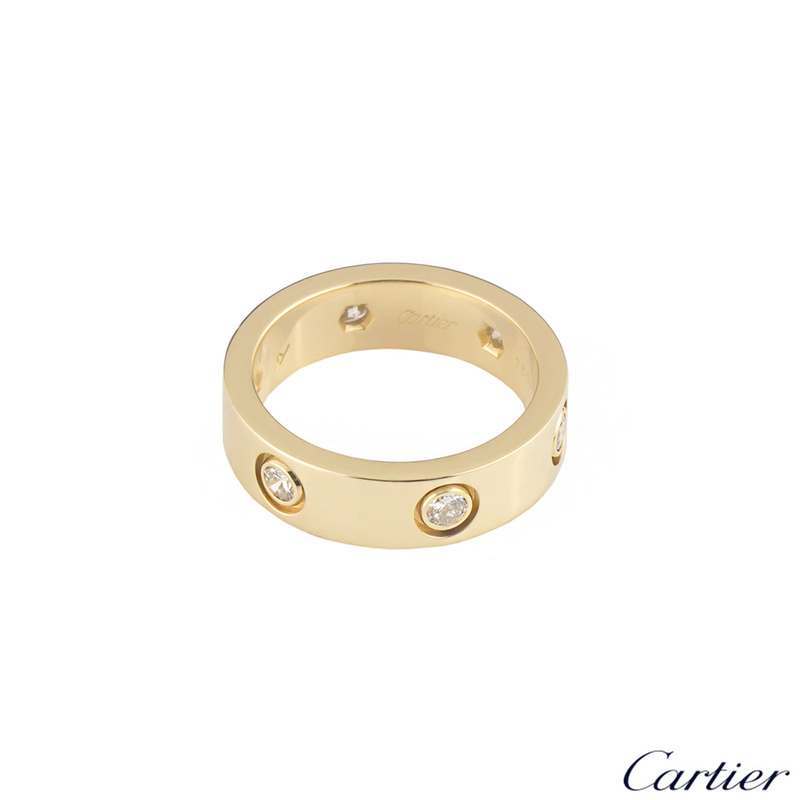 The ring comprises of 6 round brilliant cut diamonds in a rubover setting evenly placed throughout the outer edge. 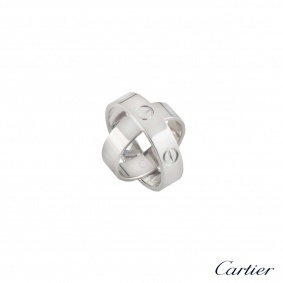 The ring is a size 56 and has a gross weight of 8.60 grams. 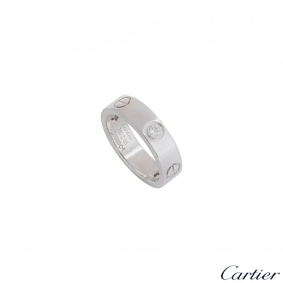 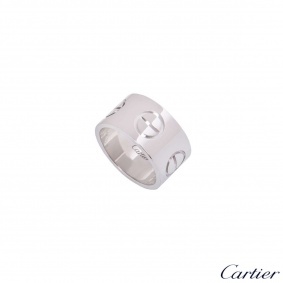 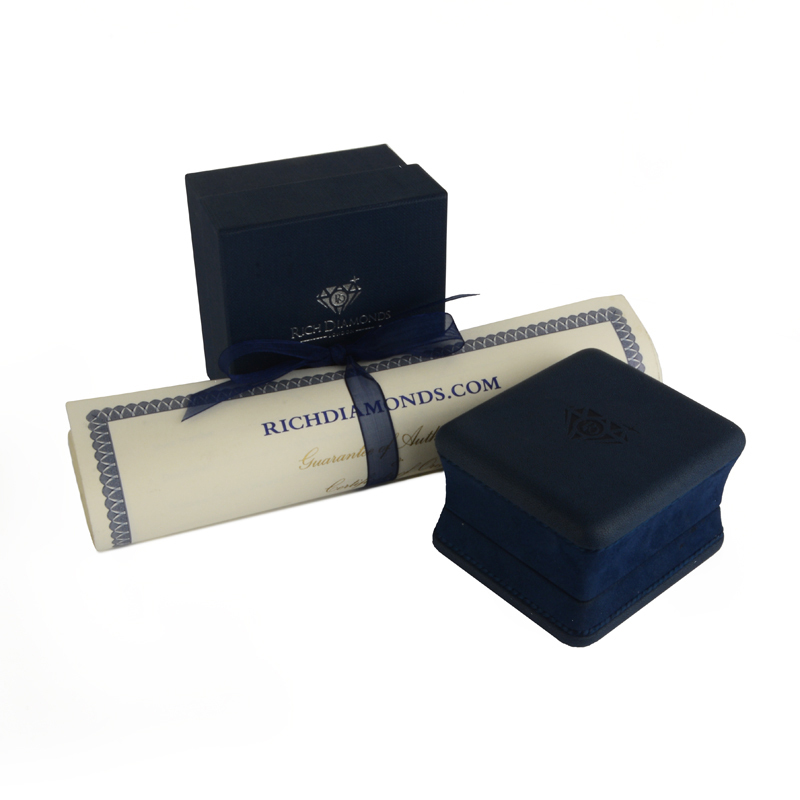 The ring comes complete with a RichDiamonds presentation box and a photocopy of Cartier papers dated December 1999.